Rome, it is often said, is just one big museum or archaeological site. The task of choosing what attractions to visit can overwhelm before you even step foot in the city. And the number of different lists of must see places often does not help making a choice any easier. With my suggestions, I add a twist to some of the more popular sights for those visitors to the ‘eternal city’ who want to do more than just tick off a list of attractions. Sunset on the Ponte Sant'Angelo, once called the Pons Aelius - the Bridge of Hadrian, that crosses the Tiber River in Rome. There are probably as many lists online with recommendations for what to see in Rome as there are places to visit. Some of these try to offer something different, but in the end most come down to much the same list, whether it is the Colosseum or the holy grail of gelato. Do we really need another list? Some people start frothing at the mouth at the very idea of a ‘Top Ten List’. While I agree with some of their reasons, my problem with lists is that they tend to focus on single attractions; as if that site is isolated from its physical surroundings. And what tends to happen is that people chase around Rome desperately trying to get to all ten sites to avoid any awkward situations when asked about what they did (or didn’t do). So what is my twist? The list below is a compilation of a number of different lists – a top ten of top tens if you like. But for each, with more detail for the top five, I suggest going behind, beyond and beneath the star attraction to make the usual unusual. Going off the beaten track to find some decorated balcony in a quaint back street is all very well. But a lot of people do want to see the Colosseum. 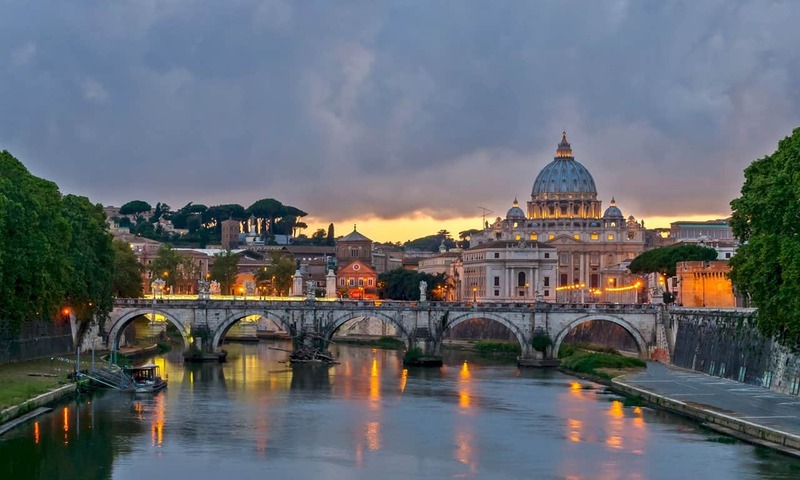 There is a reason why this iconic, ancient landmark is the most recommended site in Rome. There is nothing wrong with wanting to see popular tourist attractions. In many cases, however, there is more to see than the obvious. Go behind the Trevi Fountain, go beyond the Roman Forum, go beneath the Vatican City – you will be glad you did. The five different coloured markers point out the top five on my list, each with the ‘main attraction’ and their associated features not usually visited. The light blue pins show the locations of the other five. The most iconic sight in Rome. The Colosseum is at the top of most people’s list of places to visit in Rome. And with good reason. You have to really dislike archaeology and/or the ancient Romans not to want to see it for yourself. Not only is this the best preserved of all the Roman amphitheatres, it was the most grandiose amphitheatre when it was built – and was never bettered in any other arena constructed subsequently. Understandably then, the Colosseum is not only the most iconic image of Rome but perhaps of all Roman archaeology. And going inside to see the seating levels, the arena and the now exposed subterranean tunnels lives up to most expectations. I have to confess, I thought the arena itself was going to be bigger – not that it is disappointing! 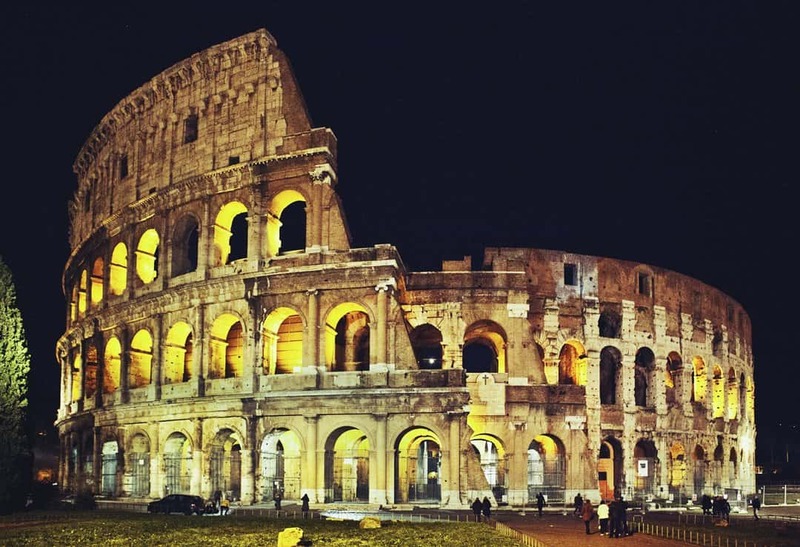 There are a number opportunities for guided tours of the Colosseum, during the day or the evening – a night-time tour is definitely on my bucket list. However you choose to visit, take some time to go behind the Colosseum (from the entrance) and see the remains of the Ludus Magnus, now below street level and partially excavated. Here you will see about half of what was the practice arena and the barracks of the gladiators that performed in the Colosseum. In the buildings above the unexposed part, there is an excellent coffee shop – much less crowded as most visitors to the Colosseum skip this side. … more on the Colosseum and Ludus Magnus, including photographs, tips and a map. 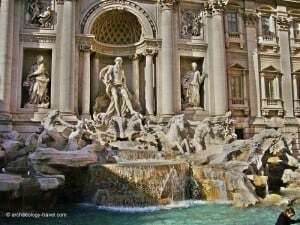 Throwing a few coins into the pool of the Trevi Fountain is said to ensure a return to Rome. Whether you do want to return or not, the slightly over-the-top fountain is a popular spot to have your photograph taken. And a picturesque one it is, day or night. The wonderful sculptures that make up the fountain act out the Taming of the Waters. Behind the Baroque fountain, figuratively and literally, is a Roman story, remains of which can still be seen today. Bas reliefs on the Palazzo Poli illustrate these origins. Today Trevi Fountain is supplied by the Aqua Vergine, which is a 15th century restoration of a Roman aqueduct – the Aqua Virgo, constructed in 19 BC. Not much of the ancient aqueduct survives, but a few travertine arches can be seen behind the fountains on via del Nazzareno (red markers on the map above). And across the streets from the arches is the round-headed inspection duct of the Aqua Vergine in the wall. An inscription on the architrave dating to 46 AD tells how Claudius had to rebuild a portion of the aqueduct because Caligula had taken the stone to build an amphitheatre. Another feature of the ancient aqueduct that supplied Rome can be seen in the basement on the nearby Trevi Cinema. Recent excavations have not only uncovered the remains of an early apartment block, but also structures that contained a large distribution tank (that held 150,000 litres of water) supplied by the Aqua Virgo. 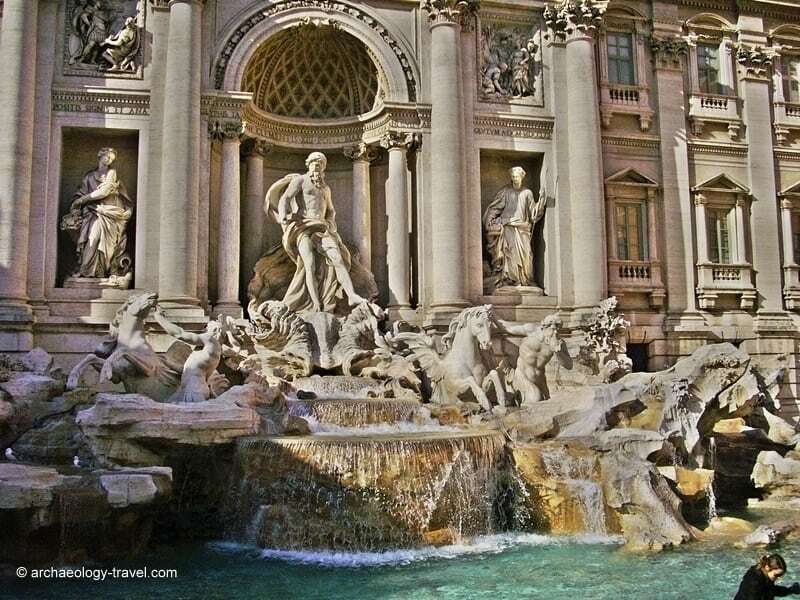 Read More About the Archaeology Behind the Trevi Fountain. The Pantheon, Piazza della Rotunda. 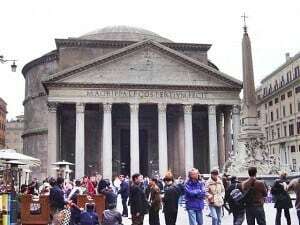 Completed in 125 AD by Emperor Hadrian, the Pantheon has stood for 1889 years. Until 1958 the temple’s domed roof had the largest concrete span in the World. Initially a temple, to all Roman gods, the reason it has stood the test of time is because it was converted into a church, as well as the quality of its construction. As it is free to enter, and as there are many great cafés around the square, this is a popular and wonderful spot to sit and soak up the atmosphere on a sunny day. At the centre of the square in front of the Pantheon is a Baroque fountain. The centrepiece of that fountain is an obelisk – and Egyptian obelisk dedicated to Ramses II. 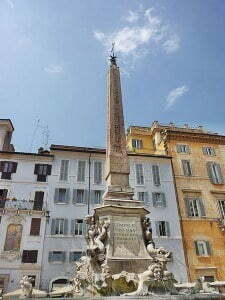 Just behind the Pantheon on the Piazza della Minerva is another Egyptian obelisk. There are more Egyptian obelisks standing in Rome than there are in all of Egypt. These were great trophies for the Roman Emperors, who had to go to great lengths to have them brought from Egypt. 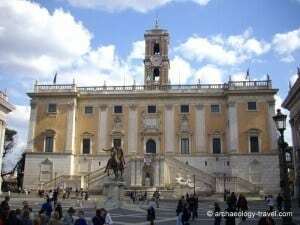 A few centuries later they also served the political needs of a few Popes, who had them re-erected in various places around Rome – where they are today. Looking over the Roman Forum. 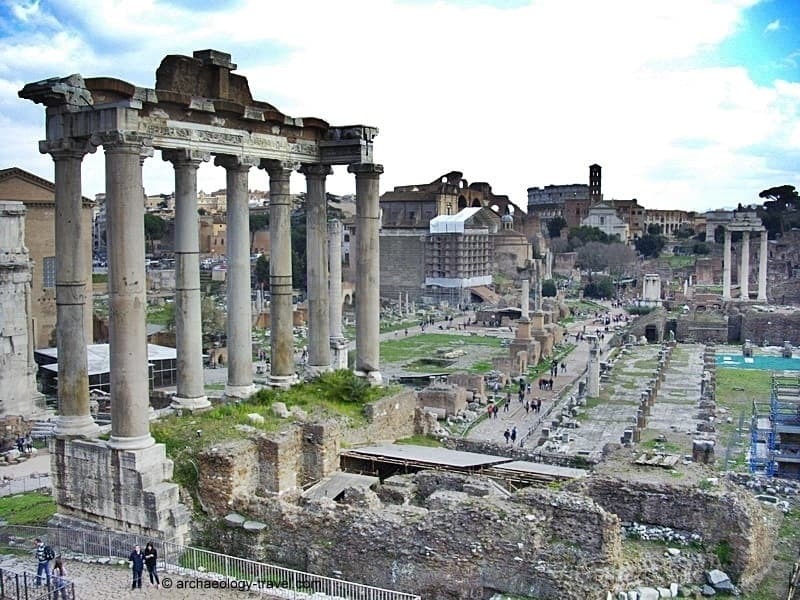 As archaeological sites in Rome go, you do not get more historic and significant than the Roman Forum. 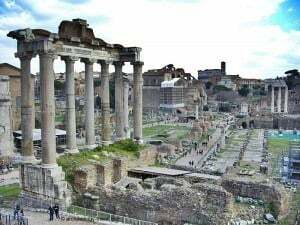 Even for the Romans, when it was rebuilt after a fire towards the end of the third century AD, the Forum was revered for its historical significance. Entry to the Forum includes two other areas: the Via Sacra and the Palatine Hill. And wondering between the three areas is easy. But this area is cut off from other equally interesting sites that are often overlooked. For example, the Via dei Fori Imperiali (built by Mussolini in 1932/3 for his Fascist military parades through ancient Rome) separates what is now called the Roman Forum from Trajan’s Forum – with the spectacular Trajan’s Column. If you want to ‘do’ more than the Roman Forum, start by simply walking the streets that surround the Forum, Palatine Hill and Capitolene Hill – two hours is all you need. 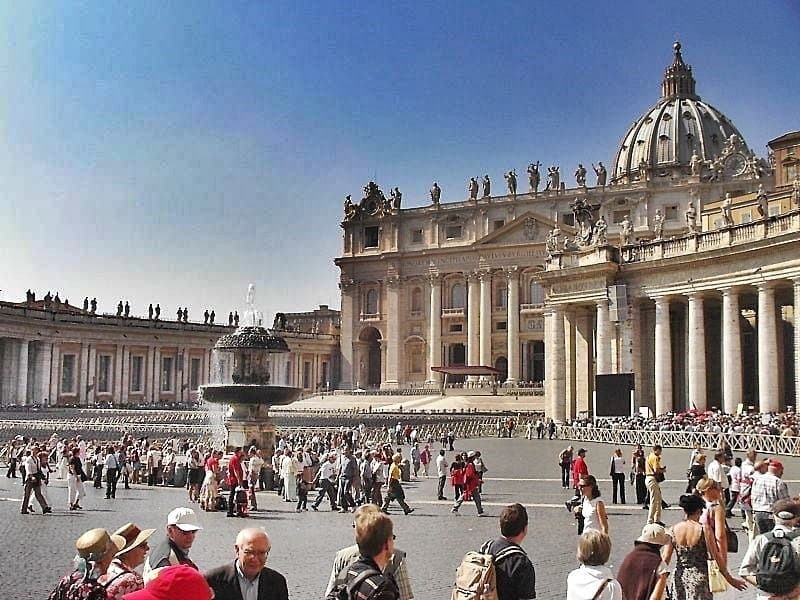 The Vatican’s Saint Peter’s Basilica and Square. Given that the Vatican City is the centre of the Catholic world many visitors to Rome come to experience the famous setting that is St Peter’s Square (which also has an Egyptian obelisk) and St Peter’s Basilica. Of course, there is also the Sistine Chapel with Michaelangelo’s amazing painted ceiling. The Vatican also has very important collections of art and artefacts of many kinds; Roman, Etruscan, Egyptian, Hebrew Lapidary, 15th century tapestries to name a few. Beneath the Vatican is another aspect of Ancient Rome that should not be missed. And one that has recently reopened to the public – the Necropolis of the Via Triumphalis. The Via Triumphalis was an important road that lead into the centre of Rome. 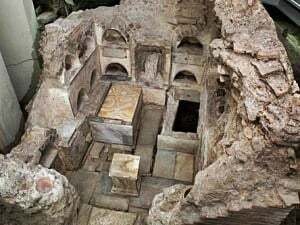 As the land on which the Vatican now stands was outside the ancient city’s limits, it was here that the dead were buried in purpose built necropolises. These were discovered in the 1950s, and after many years of excavation and renovation the Vatican has just (December 2013) opened them to the public, with state-of-the-art multimedia displays and new walkways that enable visitors to walk above the remains of the excavated burial chambers. Click on the photographs for a lightbox view. Looking down the what was the frigidarium. 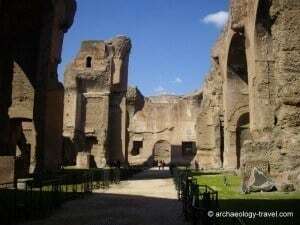 At the start of the Via Appia, a walkable distance from the Colosseum and the Circus Maximus, are the spectacular remains of the second of the large Imperial public baths in Rome, built by Emperor Caracalla between 211 and 216 AD. The first were those built by Trajan, bits of which can be seen in the park opposite the Colosseum. With some additions and various restorations, Caracalla’s baths continued to be used until the 6th century. I was immediately struck by how how high some of the walls of the baths are. They still manage to give a good idea of how vast this complex was. 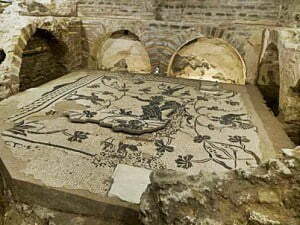 Not to be missed are the underground tunnels, in which there is a Mithraic temple. Such is the evocative setting, these ruins are used as a backdrop for open-air concerts, a tradition started by Mussolini. The story of the collections of the Musei Capitolini begins in 1471, making these the oldest public museums in the modern World. 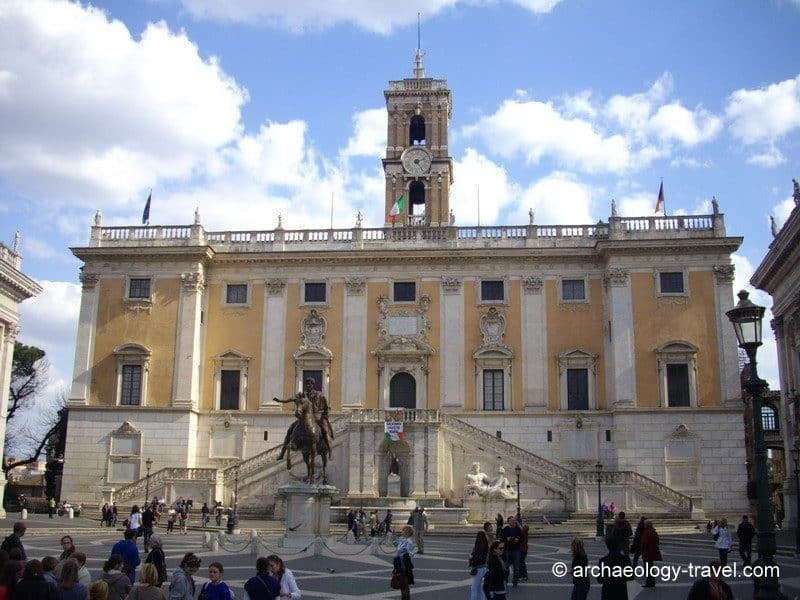 Now the two museums, Palazzo dei Conservatori and Plazzo Nuovo on the Piazza del Campidoglio, have over 1,300 objects, amongst which are some of the most iconic artefacts and sculptures of ancient Rome, as well as Greek and Etruscan pieces. In the piazza between the museums is a statue of a mounted rider, a replica of Emperor Marcus Aurelius, the original of which is on the museums. The Palazzo dei Conservatori was built above the Temple of Jupiter, the foundations of which can be seen on the first floor (and jutting out to the rear of the building). Michaelangelo is largely responsible for the architectural setting of piazza, in fact this is the first planned piazza in Rome. 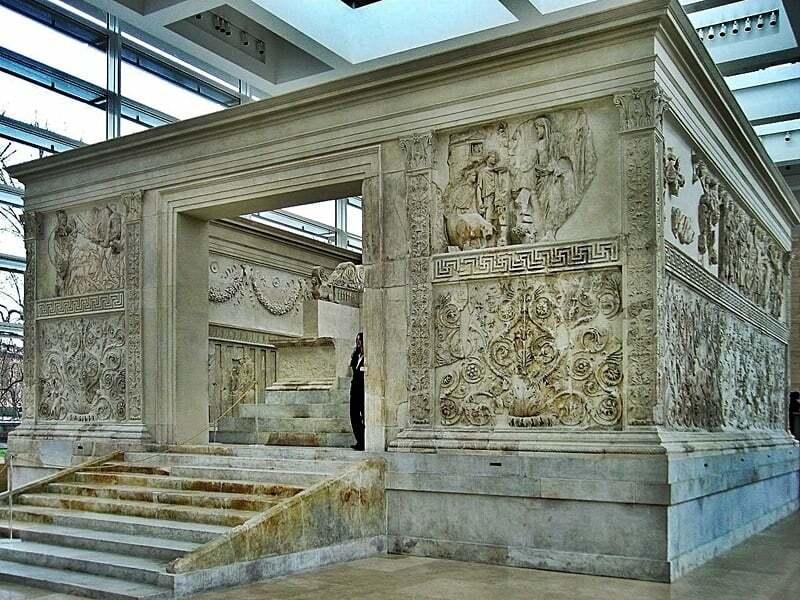 On the banks of the Tiber, in a very modern building, is the reconstruction of the Altar of Augustan Peace – Rome’s most famous example of Augustan monumental sculpture. 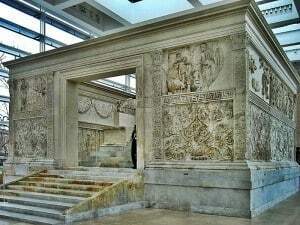 The altar was commissioned to honour Augustus’s military victories in Spain and Gaul, and the peace he brought to the Roman Empire. Below the floor on which the altar now stands is a museum with displays about the recovery of the monument at its original position. Opposite the altar is a deteriorating circular mound of ancient concrete and tufa. There is no public access, but it was here that Augustus was laid to rest in 14 AD. This is Augustus’s Mausoleum. Once the tallest building in Rome, this cylindrical mausoleum is the final resting place of Emperor Hadrian. His ashes were placed here a year after his death, as were the remains of a number of Emperors that reigned after him. The picturesque approach to the mausoleum across the Pons Aelius over the Tiber River was also built under Hadrian’s command, but the statues of angels for which the bridge is well known are later Baroque additions. In the 14th century the mausoleum was converted into a Papal Castle. 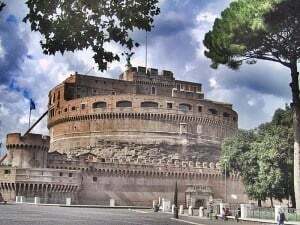 Castel Sant’Angelo is now a museum of Medieval and Renaissance art, and an extensive collection of weapons. The Castel is still linked to the Vatican by the passeto, a 13th century passage, built on a 9th century wall, that provided an escape route between the Vatican and the papal palace … Read More. Fresco of Eucharist bread and fish. Of the many catacombs in Rome open to visitors, the Catacombe di San Callisto is the largest (the arcades cover an area of 15 hectares and 19 kilometres long) and the most popular on the Appian Way. Both Christian and Pagan tombs can be visited. 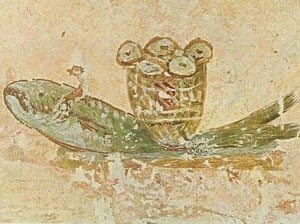 There are some fine examples of early Christian frescoes – dating to as far back as the first century AD – that are well preserved and well worth seeing. 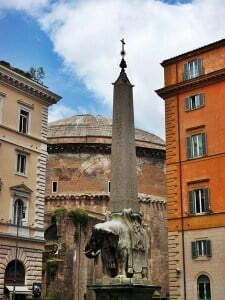 The popularity of this site is due to the fact that between the 2nd and 4th centuries sixteen Popes were laid to rest. This is just one of a number of tombs and catacombs along the Via Appia Antica (now a designated archaeological Park), many of which are in walking distance of each other. Also, within the city is the Capuchin Crypt – within a few small chapels beneath the church of Santa Maria della Concezione dei Cappuccini are the mummified remains and bones of some 4,000 individuals. Seasoned visitors to Rome will no doubt want to replace one or two entries – I do. I would say Visiting Ostia Antica is a must, and it is easy to get to (but I consider this a trip out of Rome). My purpose has not been to produce the definitive list of ten attractions that must be seen when visiting Rome. Rather, I have taken what are widely thought of as the best places to visit and made suggestions for exploring these further. Visiting popular tourist attractions does not have to be about following herds. As always, however, visiting attractions anywhere is a balance between how deeply to explore a specific site and how many different sites to have visited. For more suggestions, articles and a list of sites and museums in Rome, Click Here. NextCan You Visit the Original Cave of Altamira? Thank you for this inspiring, well researched site. I’m off to Rome (again) for my 70th birthday with my family and needed an update on what to do and see. I didn’t know about the aqueduct behind the Trevi fountain, so that’s on the must do list. Thanks again. Paul.